Don't let the title of British alt-country quartet Minibar's sophomore disc, Fly Below the Radar fool you: they're not aiming so low that you won't miss them if they fail. They're too sharp to fail. 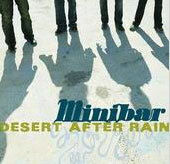 After all, Minibar-- guitarist/singer Simon Petty, bassist Sid Jordan, guitarist Tim Walker and drummer Malcolm Cross-- are quite content doing their own thing, whether anyone takes notice or not, especially since their debut (2001's Road Movies) received no backing from then-label Universal. As Petty recounted in the July/August issue of No Depression, life after Universal "forced [Minibar] to become a much tighter unit not just musically, but as a band in the broadest sense of the word." Petty is true to his word, though his band is hardly the type to start any us-against-them fistfights. Like their fellow countryman Peter Bruntnell, Minibar have a knack for cranking out beautiful, simple, dusty alt-country descriptions of their adopted homeland (the Southwestern United States). But they're more Jay Farrar-- he with the voice like a January desert sky-- than say, Calexico. It's worth making a comparison to the slightly-better-known Bruntnell, himself a Farrar disciple and employer of former Son Volters Dave Boquist and Eric Heywood, to boot. Where Bruntnell offsets his quiet moments with willful weirdness (Normal for Bridgewater's "By the Time My Head Gets to Phoenix" or "Tabloid Reporter" from Ends of the Earth), Minibar stick to the plaintive steel pedal lament. Album opener "It Is What It Is" sets the desert-vibe template that runs through all of Fly Below the Radar. With an air of Zen peace ("It is what it is/ There's no need for argument at all") and the autumnal chill of the guitar and keyboards, the song's pounding bridge comes as a surprise. Minibar may not wander too far from the trail, but they can find a hook in even the simplest song. Which is a good thing, otherwise Fly Below the Radar would trigger a rash of suicides. "Unstoppable" finds Petty noting that "I've been alone for so long/ Sometimes I don't know what to say." An album full of lyrics like that and you'll find yourself hoping for some Bruntnellian kookiness. Fortunately, the middle of the album is brightened by the funky "Somebody Down Here Loves You"; delivered with a knowing wink by Petty (the son of a vicar, as is Jordan), this tune of earthly delights is the alt-country equivalent to Matthew Sweet's "Evangeline". But then it's back to the lonesome trail, and by now Fly Below the Radar is either thematically cohesive or thematically oppressive. I'm opting for the former, as there's an unmistakable quiet charm informing even the lesser songs. "Martha" approximates a dustier Willard Grant Conspiracy, loosed from their chamber (WGC themselves a band that exudes quiet charm). The tune is inspired by Who's Afraid of Virginia Woolf? ; in the words of fellow alt-countryman Jeff Tweedy: "He takes all his words from the books that you don't read anyway." It was a play Jeff, but we won't nitpick. The title track boasts the album's fist-pumpingest chorus, and proves these guys can rock out when they need to, but they also excel at tunes like the acoustic "Badlands", which is haunted by ghostly violins and images of the Joshua "field of crucifixion trees." Taken as a whole, Minibar is not tears-in-your-beer music; it's more pull-over-on-a-deserted-stretch-of-Texas-highway-sit-on-the-hood-of-your-car-and-count-the-stars-on-a-cool-clear-evening music. Surely there's a pithier description of their niche, but why settle for one word when 25 will do nicely. Minibar are content to let the experience and idea of the Southwestern U.S. wash over them, not actively seek out the heart of the region...which is also the best way to "get" Fly Below the Radar. "Fragile"-- every bit the road song with its spacey keyboards-- recalls the Zen air of "It Is What It Is": "There nothing we can do anyway/ So just smile and tell yourself it'll be okay,' and coming out of Petty's mouth, it's not so much sad as it is true (and it might just double as the band's mantra given their dealings with major labels). While it's asking a lot to rely on four transplanted Brits to approach alt-country's mid-90s heyday, Fly Below the Radar is the kind of record many alt-country fans have been waiting for since Son Volt's Trace; lord knows Farrar, last seen flying past Saturn with the "Space Junk" of Terroir Blues is not the man for the job.